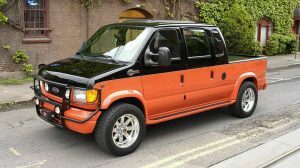 When I was a wee little one, my kindergarten school bus driver had one of the few non-bus options available in the form of a bright yellow mid-80s Chevy Suburban. 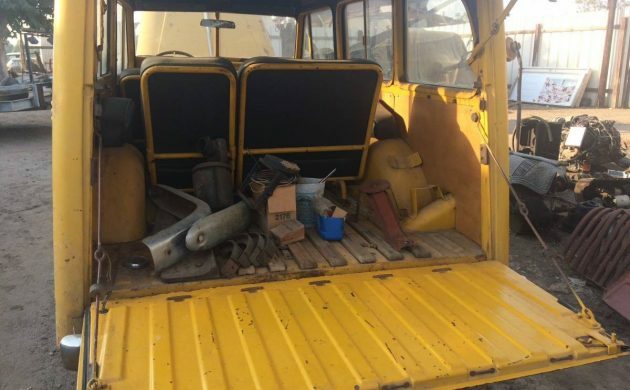 As a budding car enthusiast, I was ecstatic to ride in this unusual form of school transportation, but if the seller of this 1947 Willys Station Wagon here on craigslist is to be believed, that Suburban was far from the first non-conventional conveyance for school children. 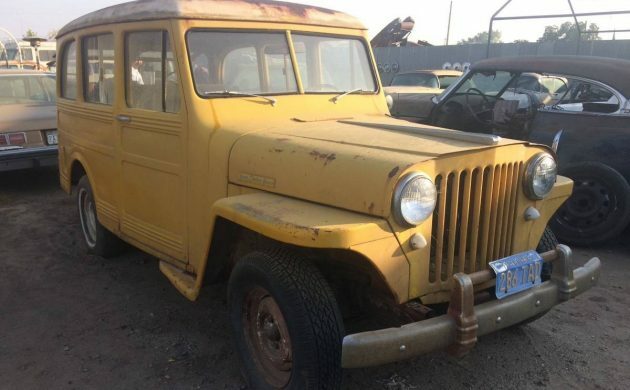 This Willys looks quite straight around the sides and the back, with clean shut lines and no major indications of rot-through. I love the rear hatch/window, which opens in two pieces to leave the entirety of the tail open, perfect for taking to the drive-in movie theater. Note the old-school California blue plates, too. Thanks to Barn Finds reader Roger for the find. 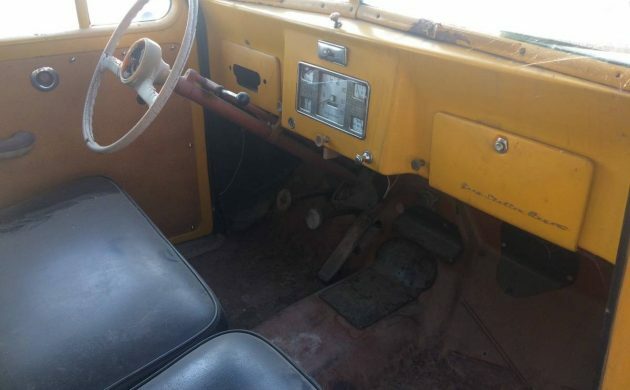 The inside appears mint, and the school bus yellow theme continues across the dash. The seats also look quite tidy, and as an added bonus, the seller notes that this Willys still runs. 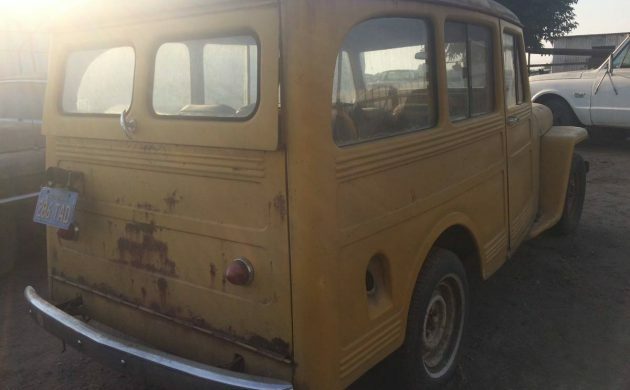 If this former school bus has been locked up in a municipal lot for years following its retirement, that might explain the preserved condition on display here. 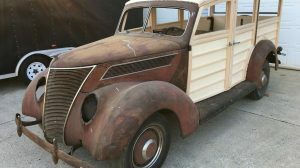 As you may know, we’re selling an awesome Willys Pickup as a Barn Finds Exclusive, so be sure to check that out if you’re looking for one on the East Coast. 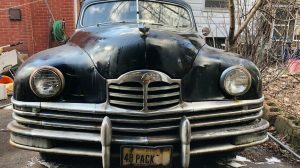 While these are still readily attainable in terms of price and inventory, these Willys Station Wagons will likely never lose any value given their usefulness and classic Jeep styling. As I rode to school in a school bus yellow 62 Country Squire, this Jeep caught my attention. This would’ve been even better as we plowed through mud and snow on occasion. 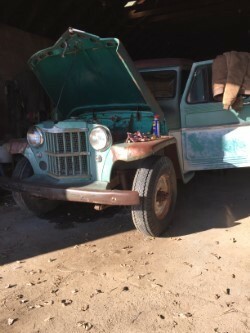 Hope somebody preserves this one as close to original as possible.Just this week I started on my 63 Willys-Jeep pickup.It’s been on the ranch since brand new, one family owner ship.A valve job and new fuel system components should get it up and running,I will leave it in it’s work clothes after that. Correction,my old school bus could not have been a Squire,just a plane jane,rubber mat Ford,sorry,my bad. Since I am at least a couple of decades older than you but we had similar circumstances. I was born and lived on a farm in rural NE Missouri and my school bus was a pre war Ford car. Except in the winter or when the dirt roads got bad then it was a wagon and a team of horses to get to our one room school. Oops, sorry, the ad was pulled. 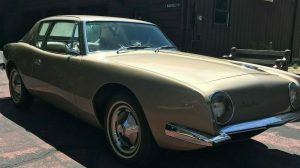 It was basically this car, in a panel version, and done “Pro Touring” style with huge slicks tubbed inside a stock width body, and painted bright yellow. Would be nice if it were 4 wheel drive. Hey leiniedude, first time you do it will take three times as long as the second time. Two things I found helped. First give it a whole day and take breaks. If the motor is on a bench you can do it in no time and your arms don’t ache. When the motor is in the reach is long and the arms get tired leading to mistakes. Second, rotate the motor slowly by hand after every adjustment. If you feel any resistance that wasn’t there before you made the adjustment stop and check your work. A sticky valve or piece of carbon can lead you to make the wrong adjustment. Cranking the motor can damage the valve on an L head if the valve is adjusted wrong. If you have the time take the head off. Makes the job easier to see what you’re doing and quite interesting. The ad has already been pulled. Looks like someone wanted the Willys really bad. Hey leiniedude, thanks for the encouragement,just about the first flat head any thing I’ve been into and I’m a 58 model. Confidence is a big part of any job so here goes nothin as they say.Sounds like SMS has us all beat on experience, thanks for the tips. Hey KSwheatfarmer, I’m a 58 model so I am right with you. 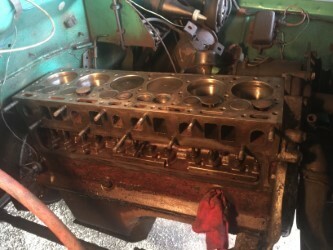 I learned to love flathead in-line motors. They do have their limits and drawbacks. For simplicity, smoothness, and cruising they can’t be beat in my book. Yes, thanks for the tips! My L head will be in the wagon. I really like your idea of removing the head to see whats shaking in there. As for model year, I am a double nickle! Take care and have a great Holiday, Mike. “Old school ” plates are from 1975 – 1976 California. That’s a really rare early Willys Wagon. That script on the glove box falls into the category of hen’s teeth. As mentioned above, it’s already gone. Hope the new buyer makes their way over to http://www.OldWillysForum.com. Made back when Jeep was an American company. Now? All but the Wrangler and the Grand Cherokee (Benz chassis) are nothing more than re-skinned FIAT junk. 😲I’M 3/4 OF A CENTURY & I’M A CAR NUT I HAVE 10 PROJECT’S, NOTHING NEWER THAN 1973, THEY R ALL COMPLETE, NO ACCIDENT’S, RUST, #7-1 OWNERS. 60 F100, 63GMC, 63GMTOW, 67QCODEBIRD, 68F250CAMSPEC, 69CDV, 69GAL429VERT, 72GM- 3/4TONSHORTVAN,73QCODE4spRANCHGTCLONE, 73VWWINDOWVANCORVAIR.